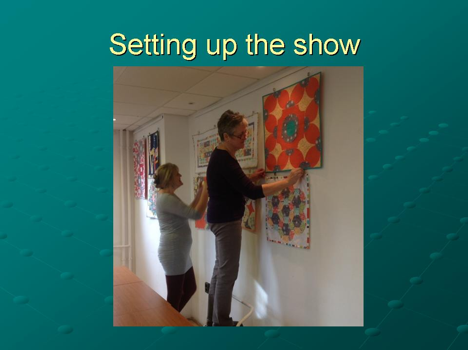 How many Modern Quilt Guilds have the opportunity to show their work overseas? Well, this little guild did exactly that! 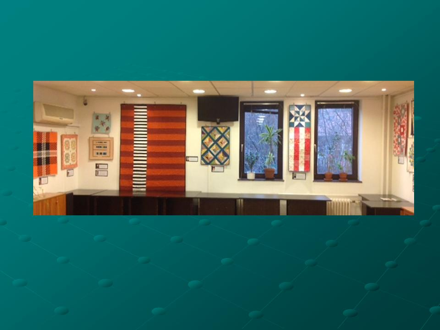 We hit an historic first with 24 of our members exhibiting at our own all-modern, all-Oklahoman quilt show in Budapest, Hungary, this past November. This is the story of how we did it. Our former Treasurer, Agnes Stadler, is originally from Hungary and she regularly flies home for family visits. On one such occasion, she got together with her college friend, Agnes Kéki, who is an independent marketing consultant in Budapest - and thus, one snowy coffee-infused afternoon, the idea of the show was born. Our guild members were quick in embracing the idea; the signup list grew and grew. 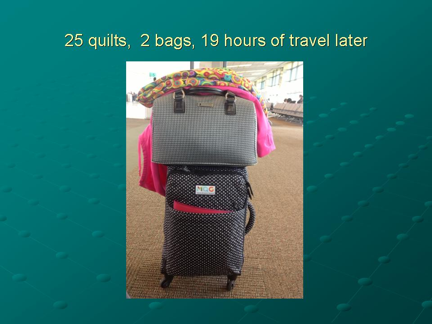 We decided on showing mini quilts only, so the whole exhibit could fit into Agnes’ rollie bag when she flew back to Budapest. Despite the incredible avalanche of responses on the event’s Facebook page (we had 170 positive responses for the opening night), interest in the show of modern minis was uncertain. 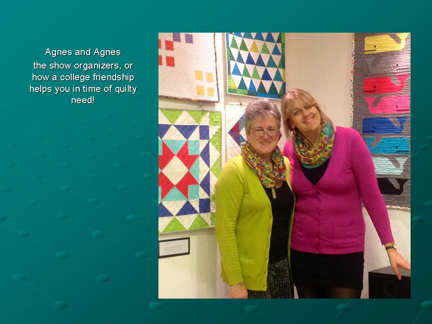 Agnes and Agnes set up the exhibit and kept fingers crossed for good participation from the Hungarian quilty public. Opening night rolled around, and the public just kept on coming. We ran out of chairs, we ran out of paper napkins, …eventually ran out of room altogether, so late arrivals had to watch the opening from the lobby! Thanks to our wonderful local sponsors (Oklahoma QuiltWorks, Je’s Bend), as well as MODA, we were able to hand out generous door prizes and we had enough left over to hold three free workshops during the time the exhibit was on. 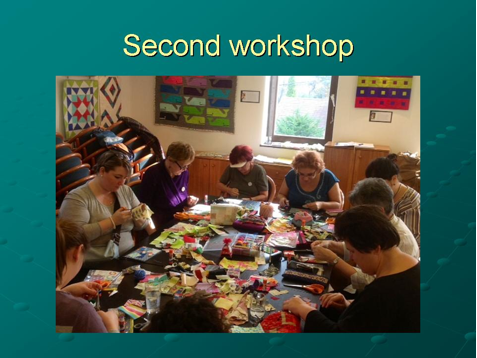 The workshops were centered around a “big stitch quilting” technique that our own Elizabeth Ladd Richards presented at the OKCMQG last year. There was much ooh-ing and ahh-ing, and vigorous debate over what is considered modern quilting. 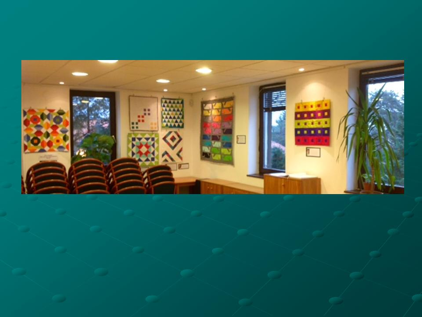 You see, Hungarian quilters tend to see modern quilting as the contemporary branch of art quilts, so our minis hanging around us came in handy as we walked through all the specific characteristics of the modern quilting style. 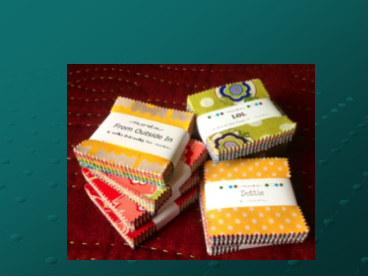 One thing that Agnes encountered during the workshops, was that participants were reluctant to use the MODA fabric mini charm packs provided. So we went with various scraps instead. 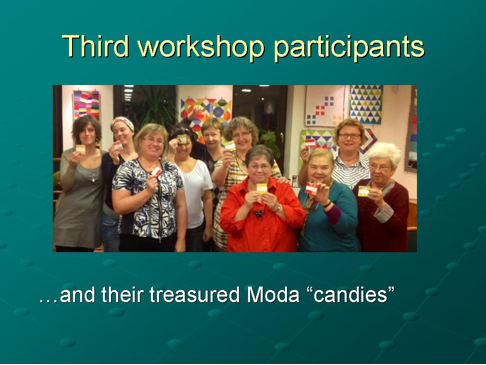 Hmm… there had to be a way to have these ladies make something pretty AND modern with these cute MODA candies, right?! 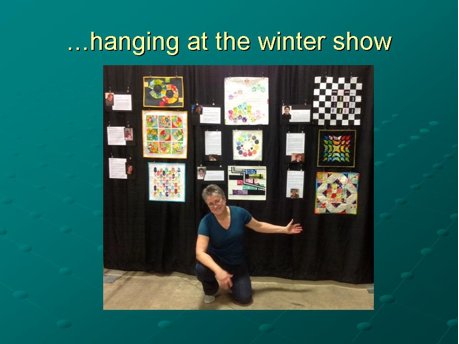 So the idea emerged: “Let’s challenge the Hungarian quilters to make modern mini quilts with the Moda “candy” charm packs they received as door prizes!” The entries would be judged by our own OKCMQG members – and the winner would be exhibited at the OKC Winter show! We had 17 entries, nine of which made the return trip with Agnes to Oklahoma! Oh, but the influence of the little quilt guild that could does not stop there! This is the story with multiple happy endings. 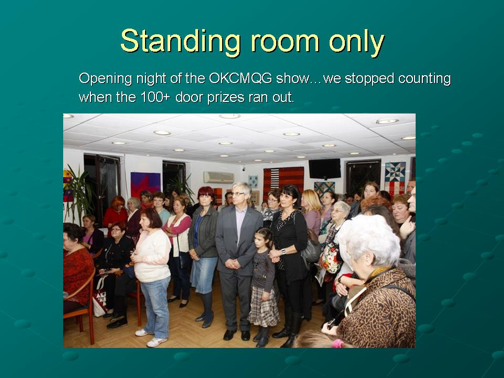 You see, we not only showed Hungarian quilters how we do modern, but also served as an example of how to build a modern quilting community! 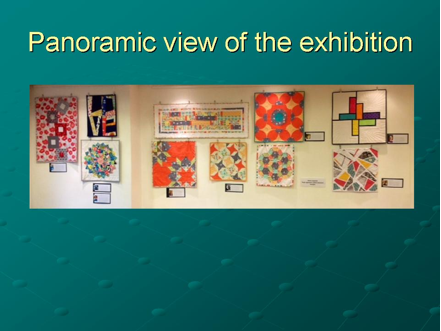 The cultural center was so pleasantly surprised at the popularity of the exhibit that they offered to host a modern quilting group for a very reasonable fee. The workshop participants were so enthusiastic with their experience, that they formed the first ever(!) 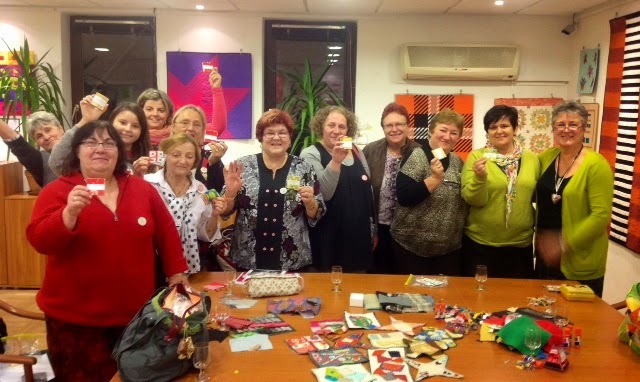 modern-quilting group, which had its first meeting on January 28, 2015. In all, 27 ladies enrolled and paid their annual dues at this first meeting. 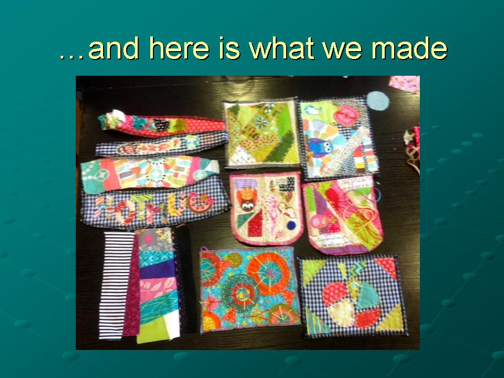 How (and whether) we continue with this success story depends on us… I see fun swaps, exchanges and who knows, maybe an international sew day down the line! After all, nothing is impossible for this little modern guild that COULD!